Joseph Gordon-Levitt Wife, Brother, Height, Ethnicity, Is He Gay Or Transgender? Home Actors & Actresses Joseph Gordon-Levitt Wife, Brother, Height, Ethnicity, Is He Gay Or Transgender? Joseph Gordon-Levitt is an American actor, filmmaker, and entrepreneur. He started acting at the age of four and till date, has featured in over 100 movies and TV series combined. Some of his most notable films include 500 Days of Summer, 50/50, Inception, Snowden, The Dark Knight Rises, G.I. Joe: The Rise of Cobra, Premium Rush, Looper, Inception, and Lincoln. 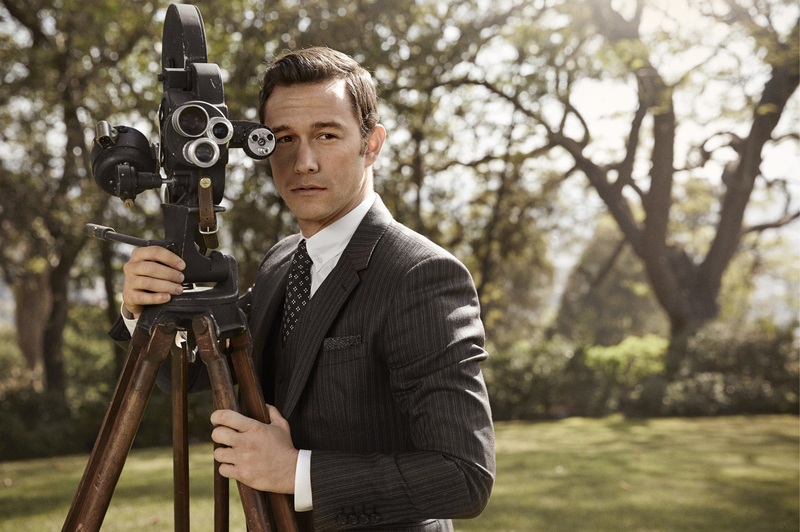 Gordon-Levitt is also a budding filmmaker and has a production company. Get to know more about him here including his late brother, wife, ethnicity, height etc. Joseph Leonard Gordon-Levitt was born on the 17th of February 1981 in L.A. California. He was the second of two sons born to Dennis Levitt and Jane Gordon. He grew up in L.A, graduating from Van Nuys High School in 1999. The actor is Jewish. His parents are among the founders of the Progressive Jewish Alliance, an organization which promotes social justice for Jewish people in southern California. The organization also facilitates good relations between Jews and other religions. They also help to reform young people who have been convicted of anti-Semitic offenses. Gordon-Levitt started acting as early as the age of four when he joined a theatre group. He gave an impressive performance of the scarecrow in a production of The Wizard of Oz which caught the eye of a talent agent. The manager scored him various gigs, most notably commercials. From these commercials, Gordon-Levitt progressed to movies. In between the ages of 6 and 18, he appeared in several movies and TV series including NBC’s Dark Shadows, The Powers That Be, Third Rock From The Sun, Disney’s Angels in the Outfield, Treasure Planet (Disney animation) as well as movies A River Runs Through It and 10 Things I Hate About You. In the year 2000, Joseph Gordon-Levitt decided to take a break from acting in order to attend college. He studied history, literature and French poetry at Columbia before dropping out in 2004. Following this, Joseph made a comeback to Hollywood. His second coming has been better than the first as he has matured from a child actor into a full-fledged actor taking on widely diverse roles. He has played a holier-than-thou missionary in Latter Days, a janitor-turned-bank robber in The Lookout, a brash bicycle messenger in Premium Rush, a cocky gambler in Sin City: A Dame To Kill For and NSA whistleblower Edward Snowden in Snowden. For his work, Gordon-Levitt has been nominated for several awards including two Golden Globe nominations for Best Actor in a motion picture musical or comedy for 500 Days of Summer (2009) and 50/50 (2011). Apart from being comfortable before the screen, Joseph Gordon-Levitt is equally at home behind the screen. He has directed three short films as well as one full-length film, Don Jon. The 2013 romantic comedy features him as well as big names such as Scarlett Johansson and Julianne Moore. Additionally, Gordon-Levitt has an online production company known as HitRecord. It offers artists a chance to collaborate on a number of creative projects including music, books, and short films. Joseph Gordon-Levitt is married to the brainy and beautiful Tasha Macaulay. She is an entrepreneur and a tech developer. She has a bachelor’s degree in robotics form Bard University and an MBA in business education and research from the University of Southern California. Tasha is the brain behind GeoSimCities, an app for creating 3D models of cities with incredible precision and details. She is also the founder of Fellow Robots, a Silicon Valley company that provides robotics solutions to retailers. Gordon-Levitt and Tasha tied the knot in December 2014. They are a very private couple and keep details of their family life away from the public. According to Gordon-Levitt, she wants nothing to do with fame. The duo have two children together. Their first, a son was born in August 2015 while the second, another son was born in June 2017. Is Joseph Gordon-Levitt Gay or Transgender? Joseph Gordon-Levitt has taken on LGBT themed roles in some of his movies. For instance, in the 2004 movie Mysterious Skin, he played a male prostitute who was sexually abused by his football coach when he was a child. He also starred in the 2003 movie Latter Days which is about a sexually repressed religious missionary who falls for his gay neighbor. There have been rumors that Gordon-Levitt is gay and he has refused to dignify them by responding. Seeing as he is happily married, we can conclude that he is not gay. We can also conclude that he is not transgender as well. Joseph Gordon-Levitt is the second of just two siblings. He had an elder brother, Dan Gordon-Levitt. They were very close and shared an uncanny resemblance which often made people mistake them for each other. Dan was a photographer as well as a flamethrower. He died on the 4th of October 2010 at the age of 36. Many news outlets reported that his death was caused by a drug overdose and this infuriated Gordon-Levitt who described the reports as untrue. The news outlets however stuck to their guns, insisting that the Los Angeles coroner’s office confirmed the cause of his death. As a tribute to his brother, Gordon-Levitt wears his shoes with a pair of mismatched socks. He inherited a collection of such socks from his brother on his death. Joseph Gordon-Levitt stands at 5 foot 9.5 inches and weighs 154lbs or 70kg. He has Dark Brown hair and Dark Brown eyes. Despite a small stature, he has grown into one of the most sought-after and leading men in Hollywood.